We’d love your help. Let us know what’s wrong with this preview of Peoplewatching by Desmond Morris. To ask other readers questions about Peoplewatching, please sign up. It is very disappointing that this book does not have more ratings on this site - it is really, really underrated. I became a fan of Desmond Morris after reading The Human Zoo: A Zoologist's Study of the Urban Animal; an admiration which increased after I read his other books. Anthropology has the criticism raised against it that it is a shallow science. I don't know about that. But I would say it is damn interesting. 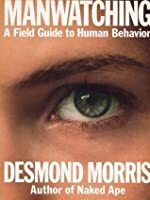 In this book, Dr. Morris gives us tips on interpreting human behaviour - and I c It is very disappointing that this book does not have more ratings on this site - it is really, really underrated. In this book, Dr. Morris gives us tips on interpreting human behaviour - and I can tell you from experience that's it's a rewarding hobby. I still remember him describing the hand actions of public speakers, and what the body language signifies: I have applied it to political speeches on TV with great effect. Another chapter of interest was on the interpretation of a couple's stage in the pair-bonding process based on the physical intimacy they displayed in public. Desmond John Morris – The zoologist, ethologist, anthropologist, painter, television presenter and author, is in my opinion without a doubt one of the world’s best observer, teachers and mentors for anyone who wants to break down, classify and understand the human species. His book ‘People Watching’ which is a revised, enlarged and expanded version of the 1977 version ‘Man-watching’ is a biblical collection of actions, gestures and physical expressions adopted by people on our planet. What makes Desmond John Morris – The zoologist, ethologist, anthropologist, painter, television presenter and author, is in my opinion without a doubt one of the world’s best observer, teachers and mentors for anyone who wants to break down, classify and understand the human species. What makes this massive 490 paged mammoth collection of data so amazing is the detail to which the author has gone to deliver his goods – the diagrams, the photographs, the examples, the explanation, the content, the etymology of the expression and its derivatives, the cultural differences to every single gesture, posture or non-verbal communication and yes the reasons behind the reason. Everything from Resting Behavior, Body Adornments, Pupil Signals, Territorial Behavior, Non-Verbal Leakage, Contradictory signals, Salutation Displays, Sporting Behavior, Signals of Threat, Barriers and Salutation – Desmond Morris has shown through this book how much we think we know to the infinite possibilities of how we truly do not. An absolute and timeless classic that will stand the test of time and in my eyes, always and forever a perfect book. Peoplewatching is a good introduction to the study of human behaviour. Desmond Morris writes as a zoologist studying a species he happens to be particularly fond of. He avoids complex arguments and instead outlines the theories which trace the geneses of modern behaviours. I gave this book two stars because I didn't gain any practical or usable knowledge from it. Morris does openly state in his introduction that this book is best suited to those who wish merely to observe- and not to manipulate Peoplewatching is a good introduction to the study of human behaviour. Desmond Morris writes as a zoologist studying a species he happens to be particularly fond of. He avoids complex arguments and instead outlines the theories which trace the geneses of modern behaviours. I only realised/recalled when adding this to my TBR list that I had in fact previously read a different edition of the same book twenty years ago. This didn't detract from my enjoyment of this, however, it was an interesting and insightful study of human beaviour and a good anthropology/sociology 'primer' in this area. Desmond Morris discusses numerous examples of human behaviour, focussing particularly on gestures and body language, and makes interesting contrast/comparison between different age I only realised/recalled when adding this to my TBR list that I had in fact previously read a different edition of the same book twenty years ago. This didn't detract from my enjoyment of this, however, it was an interesting and insightful study of human beaviour and a good anthropology/sociology 'primer' in this area. Desmond Morris discusses numerous examples of human behaviour, focussing particularly on gestures and body language, and makes interesting contrast/comparison between different ages and cultures to pick out aspects of 'universal' human behaviour as well as those more culturally determined. There were plenty of quirky new bits of learning, and the very approachable style lent it's self well to the non-expert reader. This is a really cool book. Desmond Morris ROCKS. He's a zoologist who has written lots of books studying the human being as an animal. So like, why do people act the way they do? Is it because we are an advanced amazing species (perhaps), or because we are acting on animal like instincts? If you like to sit and watch people walk by in crowded places (who doesn't?!) this is that sort of interesting book. You learn about body language, postural echoing, and... something else I was going to write t This is a really cool book. Desmond Morris ROCKS. He's a zoologist who has written lots of books studying the human being as an animal. So like, why do people act the way they do? Is it because we are an advanced amazing species (perhaps), or because we are acting on animal like instincts? If you like to sit and watch people walk by in crowded places (who doesn't?!) this is that sort of interesting book. You learn about body language, postural echoing, and... something else I was going to write there until my husband interrupted me and I lost my train of thought. The book is about human actions, how actions become gestures, and how gestures transmit non-verbal messages. In short, the book is about the "Body Language." In a clear, lucid way, the author describes a whole range of our day-to day actions, gestures, movements, signs & signals-- most of which we perform sub-consciously. He explains how people from different communities behave in public and in private, and also analyzes the fundamental patterns that govern typical actions-reactions. Packed The book is about human actions, how actions become gestures, and how gestures transmit non-verbal messages. Packed with almost a hundred diagrams, sketches and photographs, the book makes us aware of the fact that as a species we may have advanced technologically, but we have not yet entirely shed our 'animal' traits of being bodily active. After reading this book, a big change has come over me. Now whenever I meet a person, my attention gets focused on firmness and duration of the shake-hand, the way he is folding his hands, distance between his legs, body tension, inclination of his head, the number of times he scratches his head or touches his nose, whether he gives a hearty laughter or a political smile, and such bizarre details. So if anyone among you happens to meet me (I very much doubt this), do not feel uneasy. I am just putting the theory into practice, ha! Recommended to me by my friend Rich, I hope this book will give me better insight into reading cues on people's movements and enhancing my knowledge on non verbal communication. I'm going to put it on my deaf studies shelf with the books I've read while aspiring to my dream and my career. Body language is one of the most important aspects of communication with the Deaf. So thanks Rich for the recommendation! This felt very much like a TV series tie-in (which I assume it was) and wasn't necessarily particularly 'in depth', but Morris did make this a very approachable introduction to sociology - talking about cultural differences, gender differences, and a variety of other areas in the context of subtle signals and gestures etc. that we all do subconsciously as social animals. Interesting stuff, but only a primer to the subject. One of my favourite books on the behaviour of the human animal. The best section for me was the chapter on religion, which explained to my 13 year old mind (the first time I read the book) why man invented religion. I borrowed the original version from the library, and purchased this version a few years later. Exhaustive study of human body language. Who knew there were so many gestures in common between distant cultures. A super interesting and informative read. I will have to re-read sometime again. TL;DR Great book about human body language. Bit sciency, not my taste. Still enjoyed reading the mammoth sized book. Took a while as I prefer fiction. Would recommend. 4-6/10. As a kid I enjoyed reading textbooks and devouring information that almost seemed useless, yet lo and behold: here I was reading what could really pass as a university level textbook again. But this time, the book was about me. Let me clarify, Peoplewatching is more a book about the detailed history, and study of human behavi TL;DR Great book about human body language. Bit sciency, not my taste. Still enjoyed reading the mammoth sized book. Took a while as I prefer fiction. Would recommend. 4-6/10. Let me clarify, Peoplewatching is more a book about the detailed history, and study of human behavior, movement, and most importantly play. You can read the book for yourself to dive into chapters that detail the evolutionary traits that humans exhibit in our everyday activities and hobbies. What caught my attention is that this book is exactly what the title is about. Peoplewatching is a book for those of us who find themselves surprised that we can somehow “read the air” of a room, those who know when someone is lying, or just those of us who are interested in finding out why there are so many displays of human body language. I wish I had access to this book when I was much younger. I probably could've made enemies into friends and salvaged a few wrecked relationship having known how similar humans are. Body language can be painfully obvious depending on the context, but catching and understanding the subtle messages we are unconsciously projecting is not something easily learned. This book is vital for people living in this present day (2018). We are at the peak of our communication capabilities but use them to pit I wish I had access to this book when I was much younger. I probably could've made enemies into friends and salvaged a few wrecked relationship having known how similar humans are. Body language can be painfully obvious depending on the context, but catching and understanding the subtle messages we are unconsciously projecting is not something easily learned. This book is vital for people living in this present day (2018). We are at the peak of our communication capabilities but use them to pit our ideologies against each other. If we look past the demonized ideology of the opposite tribe, we can see that there are also shared layers of urges, insecurities and hangups burned into permanence by events either in their lifetime or throughout the development of our species or of terrestrial life itself. An interesting survey, but not much useful on interpreting body language or facial expression. An excellent read which goes much beyond simple people watching to the realm of psychological interpretation of mannerisms and actions. Il controllo dei gesti inizia da una presa di coscienza. Ecco un esercizio molto semplice, ma molto prezioso. Aprite la mano destra, concentrate il vostro pensiero nel suo centro, poi dolcemente, lentamente, ripiegate le dita ponendo tutta la vostra attenzione in quel movimento finché avrete chiuso il pugno. ..
Fermatevi un istante e concentrate la vostra energia nel pugno, poi lentamente, dischiudete le dita e riaprite la mano… Fate questo esercizio mettendoci tutta la vostra consapevolezza, e v Il controllo dei gesti inizia da una presa di coscienza. Ecco un esercizio molto semplice, ma molto prezioso. Aprite la mano destra, concentrate il vostro pensiero nel suo centro, poi dolcemente, lentamente, ripiegate le dita ponendo tutta la vostra attenzione in quel movimento finché avrete chiuso il pugno. ..
Fermatevi un istante e concentrate la vostra energia nel pugno, poi lentamente, dischiudete le dita e riaprite la mano… Fate questo esercizio mettendoci tutta la vostra consapevolezza, e vedrete che a poco a poco raggiungerete un grande controllo dei vostri gesti. Basta che facciate questo esercizio una sola volta, non diverrete più forti facendolo venti volte di seguito, ma fatelo ogni giorno, e come si deve. This book takes a different flight altogether about the way we unknowingly express our inner self while interacting. The way Mr. Morris explained and "Trained" the readers to "read" body languages of human being is very good. If you are a student or a simple enthusiast of Behavioral Science then you would love to read the book. You may not agree with some of his ideas and sometimes they may look as far fetched but overall this book will give you a nice introduction about the field of study. One This book takes a different flight altogether about the way we unknowingly express our inner self while interacting. The way Mr. Morris explained and "Trained" the readers to "read" body languages of human being is very good. If you are a student or a simple enthusiast of Behavioral Science then you would love to read the book. You may not agree with some of his ideas and sometimes they may look as far fetched but overall this book will give you a nice introduction about the field of study. o livro começa devagar, falando de muitas coisas que eu já tinha observado nas pessoas, e aí vai se aprofundando, se aprofundando, e falando de hábitos, movimentos, gestos, e outros sinais emitidos pela gente -- é muito legal! o livro é gostoso de ler, e pra quem curte observar as pessoas (como sempre fiz no metrô, nas ruas, nos shoppings, etc), é um prato cheio! pra falar a verdade, o livro acabou e fiquei com vontade de ler mais! Most of the information provided in this book is basic knowledge of the human gestures and body language. The author explains how some gestures have different meanings based on location and provides the history behind some of them. I wouldn't say that I had any big revelation reading this book or that I learned a lot of new things about human body language, but it was an interesting read anyways. Before the motivational speaker with his and her pretence of knowing body language, before Joe Braysich, before Allan Pease, (before me!) there was the scientist and ever so clever Desmond Morris, anthropologist, biologist, zoo-ologist, writer and artist. You have to take your hat off to someone who dedicated his time and studies to helping us get on with each other, understand each other and to stop looking and acting like apes. What a fascinating book! Morris is such an engaging writer about people and their behaviour and this made this book a pleasure to read from cover to cover. Morris looks at a range of human behaviours and explains their emergence and common usage. This book is a must read for anyone who has an interest in understanding why we do what we do. Although not for the faint hearted, this book is an eye-opener, even today. Morris is an incredibly observant anthropologist, and I found the occasional dally into the chapters extremely interesting. It would be fabulous as a less detailed coffee-table book interspersed with more pictures as examples. Interesting although no mind blowing facts here, unfortunately you won't be able to decode peoples' inner most thoughts from reading this book. It was a bit boring in places but it's nice to obtain some new information, although you truthfully you can probably successfully read a lot of peoples' body language as it is. A lot of explaining of not only our body language, but of everything human of behavior ...from why men shave, why we don't want to sit in the middle of a restaurant eating blue food. Some seem to be hypothetical guessing, but much is interesting. So interesting! Found it hard to put down and I've even started to apply some of its methods to my people watching. Would definitely recommend this book as you will learn a great deal about human behaviour.